If you don’t know who Francis Crick is, then just shut up (and read this). Confusingly, although my dad retired from the University of Glasgow, he now seems to have at least three jobs. I’m just hoping I don’t have to give a speech for him every time he retires from one of those. 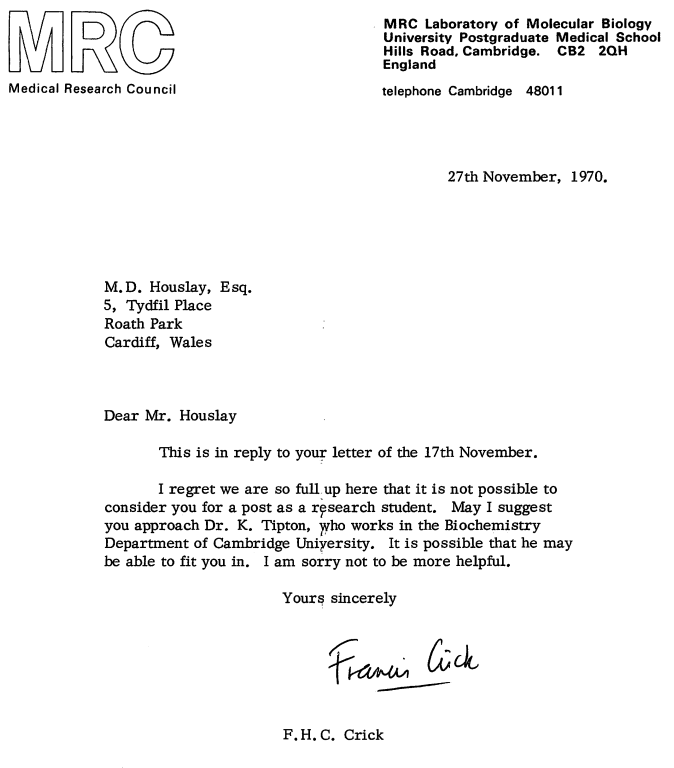 Oh, and having put this out on twitter earlier, I had some responses which showed that my father is not the only one to have engaged in a short collaboration with Prof Crick…. if there are any more such tales out there, send them my way!